Medline DYND30330 Specimen Containers are manufactured by Medline for use in collecting and storing biological specimen for testing. These sterile specimen cups are individually wrapped and come with a screw cap that secures and protects the specimen. Identification labels are provided with space for the date, patient date-of-birth, patient name, and doctor name. 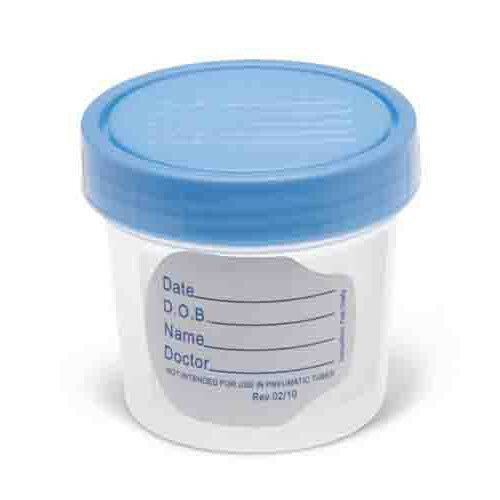 These specimen collector cups offer an easy way to gather up to 4 ounces of urine specimen. 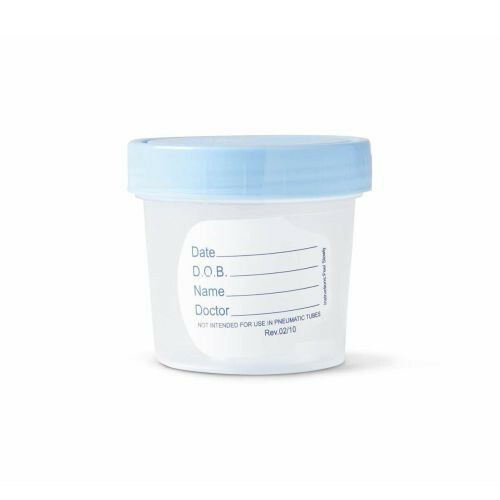 Vitality Medical carries many specimen collection containers, including Urine Specimen Collection Kit, 3000 mL Urine Specimen Bottle, Toilet Hat Specimen Collection and the Solo Paper Specimen Cup. Specimen jar equipped with identification labels. Color: Transparent cup, blue cap.